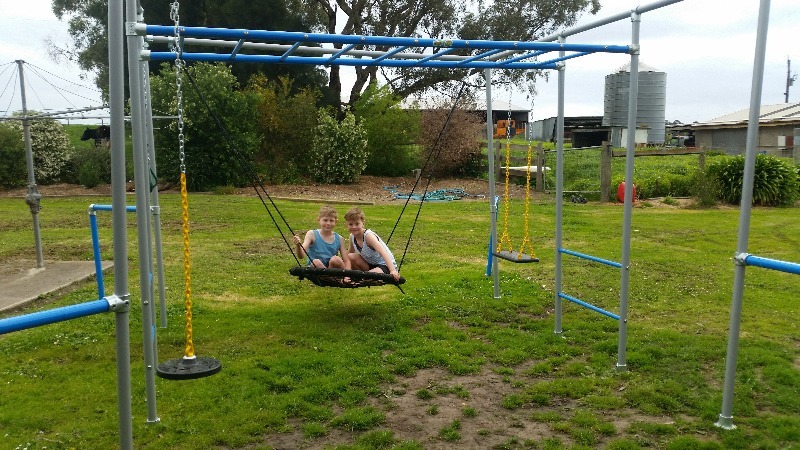 Big kids and little kids love the Nest Swing. A little more active than a hammock but just as relaxing should you like it that way – for outdoor play or meditation. Load tested to 150 kgs. PLEASE NOTE: The Nest Swing can be attached to The Orangutan, The Gorilla, The Lemur or The Mandrill Funky Monkey Bar frames. Three boys happily play together on the nest swing, taking turns pushing each other (!!!) or sitting/standing on it together while someone pushes them. Highly recommend! 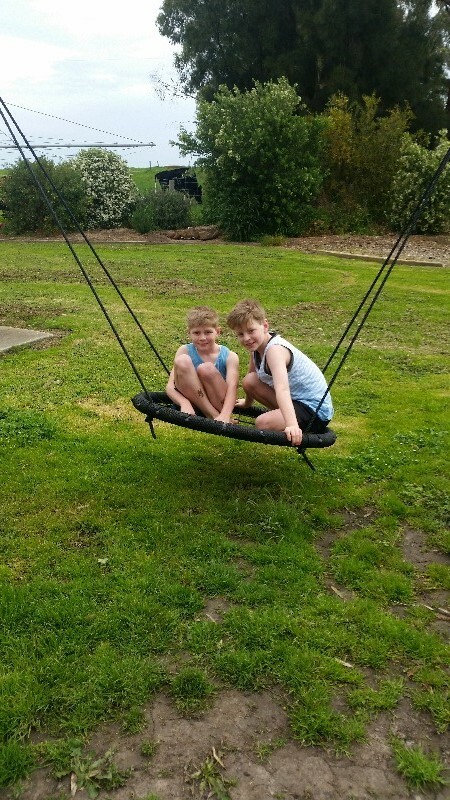 The nest swing is very popular with our family. The kids and adults both enjoy swinging on the nest. The nest swing is great, thanks! Our 3 kids and their friends all race for the swing and love it, especially as more than one kid can be on it at a time. We love them! My son & I play on them together and challenge each other. It's been great for my son to just relax in the nest swing when ever he feels frustrated or upset, it calms him like nothing before could since losing his Dad. Every household needs a nest swing! For all the latest news, photos and videos follow us.